« POST-ELECTION DISCUSSION…SO WHAT HAPPENS NOW? 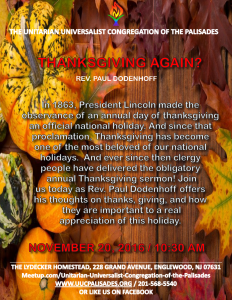 In 1863, President Lincoln made the observance of an annual day of thanksgiving an official national holiday. And since that proclamation, Thanksgiving has become one of the most beloved of our national holidays. And ever since then clergy people have delivered the obligatory annual Thanksgiving sermon! Join us today as Rev. 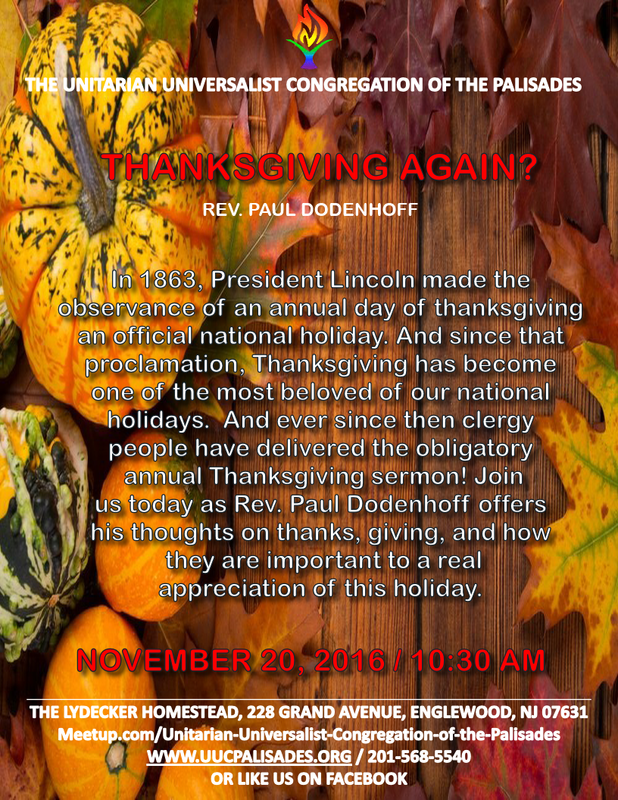 Paul Dodenhoff offers his thoughts on thanks, giving, and how they are important to a real appreciation of this holiday.